Here is a waterfall photo sent to me from Bill. 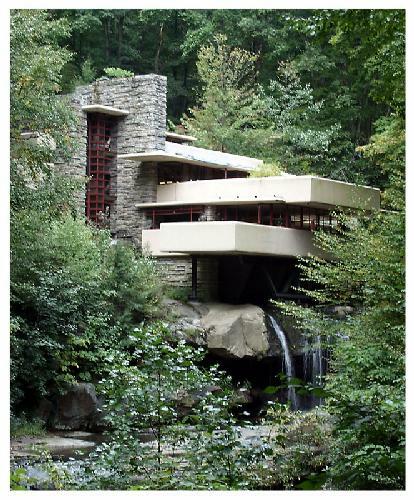 He said: "I didn't see Frank Lloyd Wright's "FallingWater" on your site, so I found it for you and I'm sending it with this email. It's on a branch of the Youghigheny River not far from Ohiopyle, Pennsylvania, and was built by Frank Lloyd Wright over a waterfall for Edgar Kauffman (Kaufman Dept. Stores)." You may click on the thumbnail to see a larger version of the waterfall.